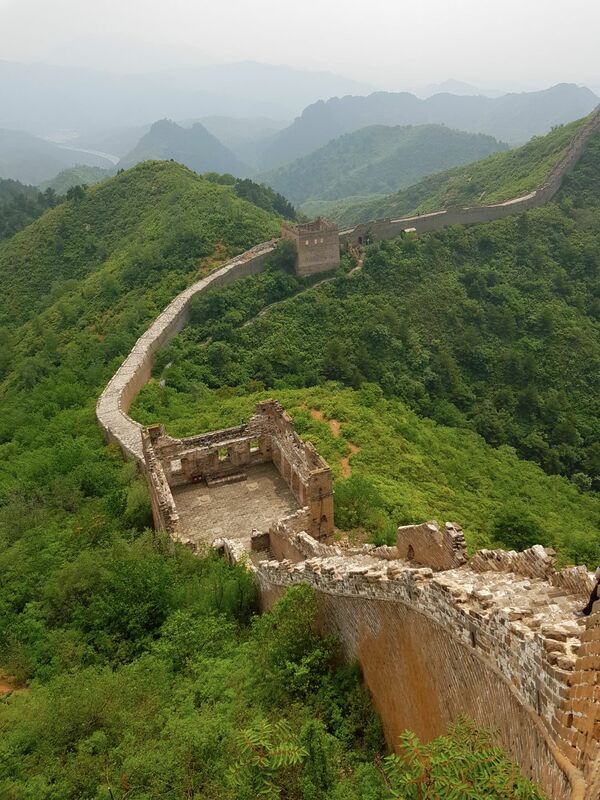 To be in China and don’t see the Great Wall is like not to be in China. 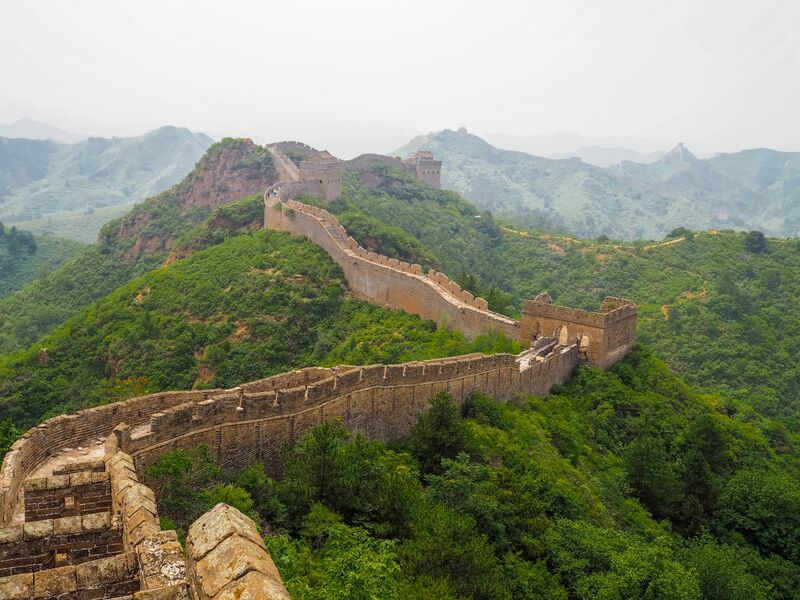 At least when you are in Beijing where the closest part of the Wall is just 50 km away and simple to reach. There are at least tens of spots that you can visit. We spend some time to choose the right one since some of them can be genuinely crowded and may not so impressive. 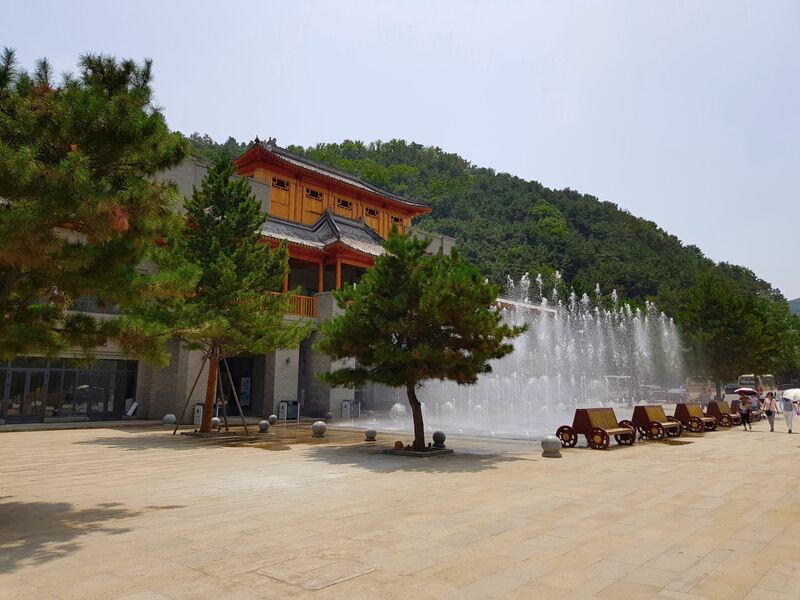 Many sources advised us to go to Jinshanling (some call it just Jinshan), so that is where we went. 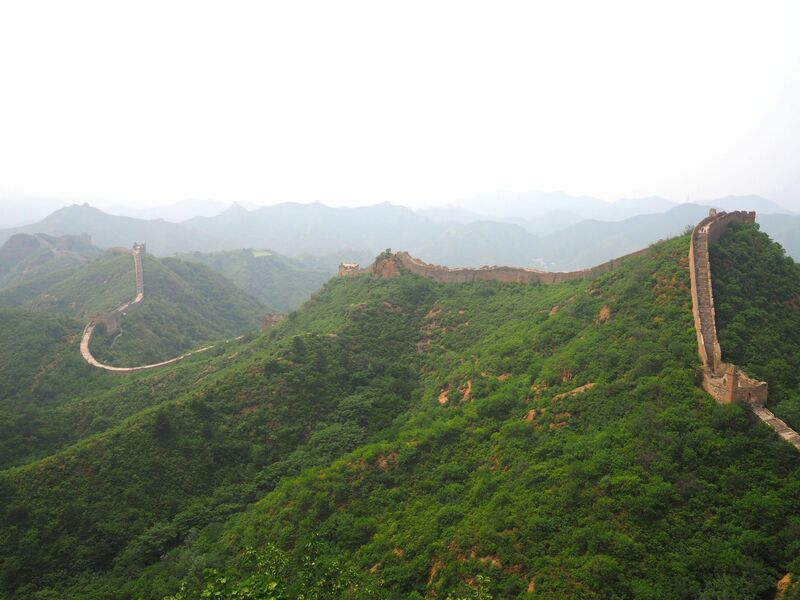 This part is 10 km long, and its origin is from the 16th century the Ming dynasty. It is also half restored and half in original condition which makes it quite unique. We don’t like tours, so this was not an option, and we are stuck with public transport. Luckily there are quite good sources on the internet for how to get there. It seems to be pretty simple. We went to Wangjing West metro station by line 13 and then exit by gate B (some sources say exit D is better if you take line 15 then take exit C). We thought that the exit was wrong, but in the end, we figured out there is nothing wrong with it, just with us :). Firstly we were quite late, and it was almost 9 am. Secondly, we missed a map that was just after stairs from the metro exit. Thirdly we missed the bus station that was on our right side, having even big red sign in English (something like “Buses to Jinshanling Great Wall”). Instead, we waited 20 minutes on a bus stop that figured to be a terminus for buses going from there. Once you find the bus station, you need to look for a bus that goes to Luanping since almost none goes to Jinshanling only. 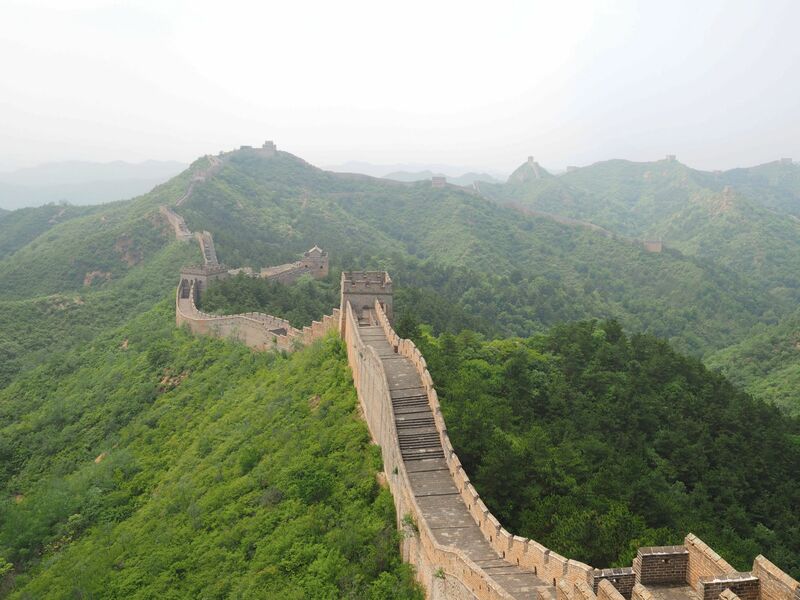 There is an exception with a special tourist bus that goes around 7:40 am, or 8 am from Beijing directly to the Wall. This bus returns at 4 pm from Jinshanling. Regular fare is 32 CNY, and a tourist bus is 50 CNY. Once we found our bus, there was quite a queue, and it took us 30 minutes to get onto the bus. The journey was without a problem, and the people on the bus advised us where to get off. The rest station at Jinshan is not really impressive, and there is no information about the Wall at all. Please be prepared with a map, at least a picture on your mobile. You will be definitely offered a taxi. We don’t remember the price. However, we decided to walk. 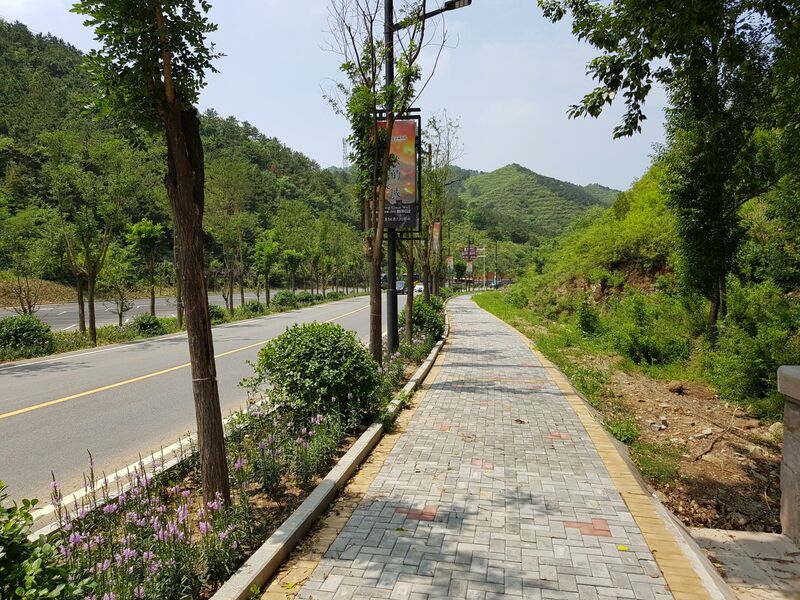 From the rest station you need to go under the highway where you find toll gates for cars, and then you can follow a cobbled pavement that leads to Jinshanling. 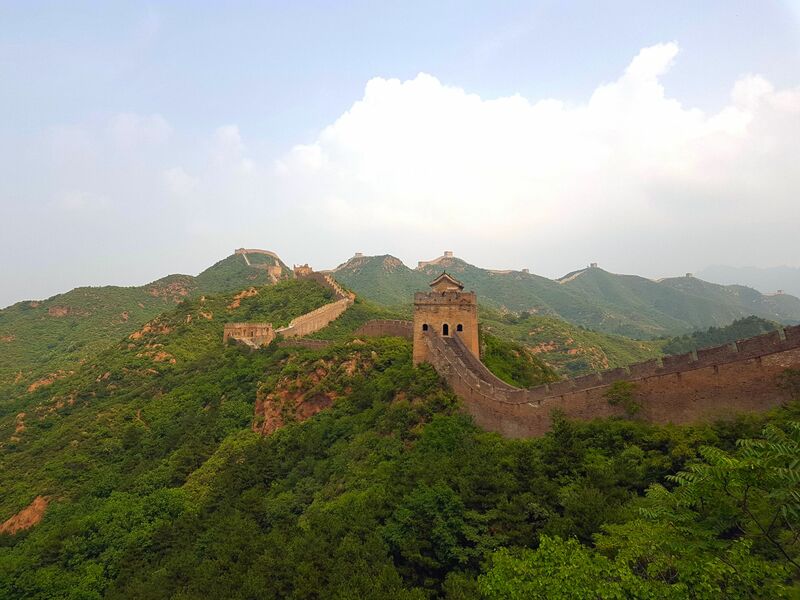 We planned to go only to the East gate since it is only 2 km and then hike to the Wall. Anyway just behind the tunnel we missed a turn to East gate parking. It was not a surprise since there was no sign and we had no map. 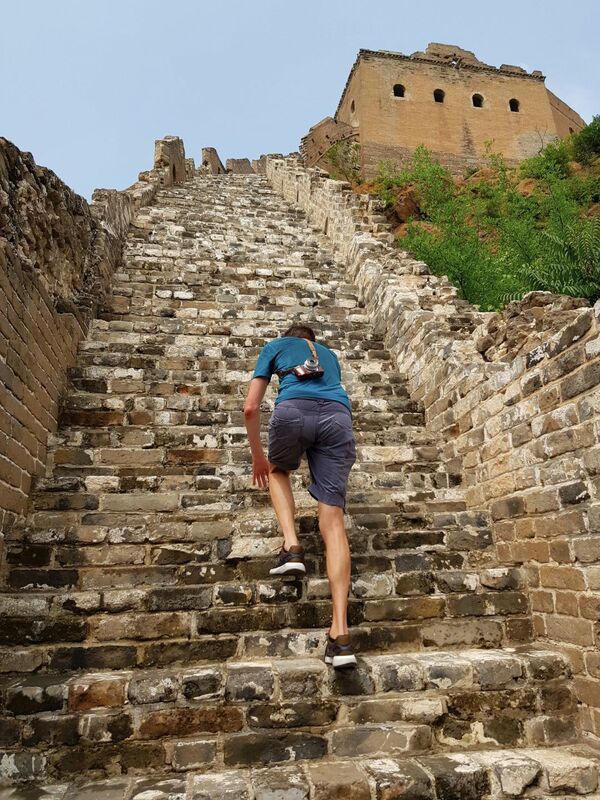 We continued the pavement, and after 45 minutes we ended up at Jinshanling. All you need to do here is to pay 65 CNY entrance fee, and you are free to go to explore Chinese history. 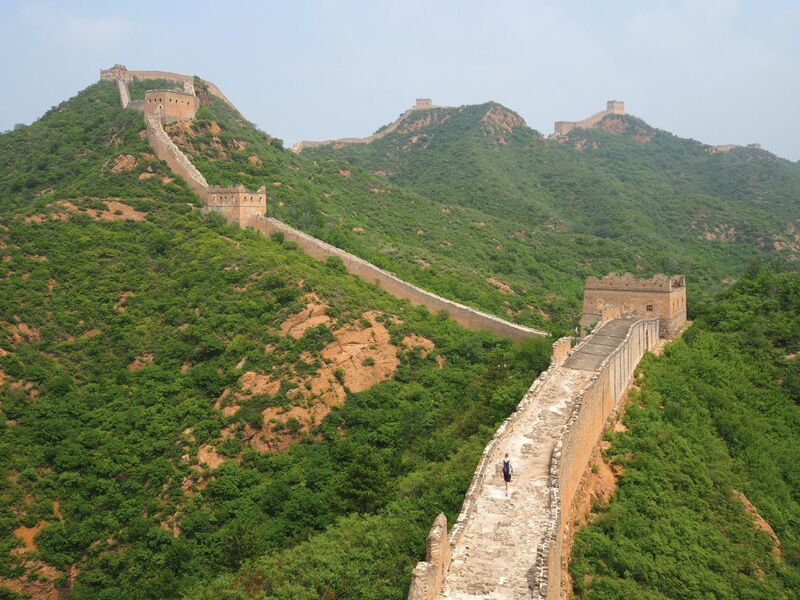 In the end, this figured to be a good solution since from Jinshanling it is an easy walk to the Wall. 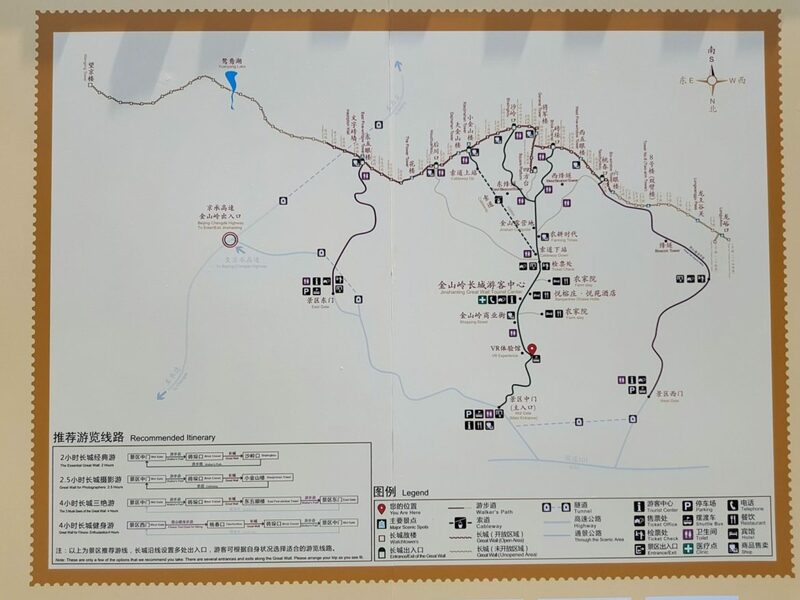 You can even take a cable car for 40 CNY one way and 60 round trip. 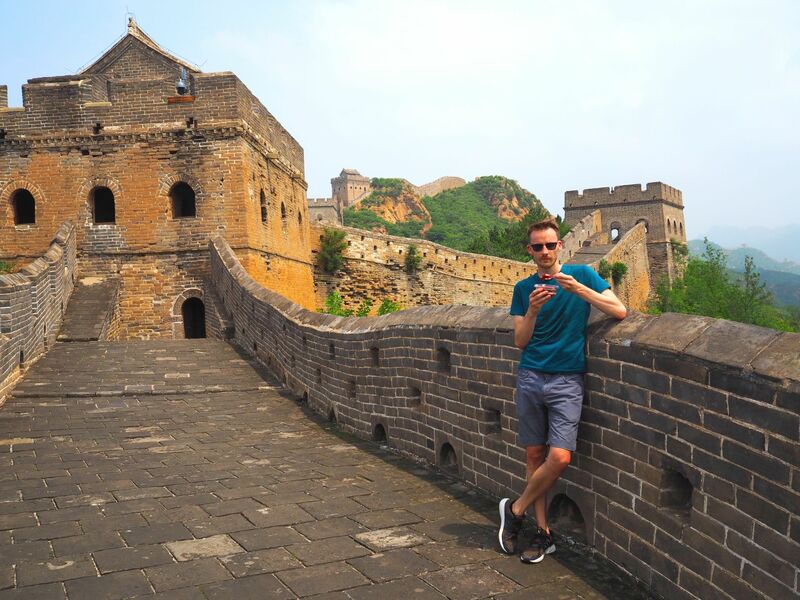 The Great Wall was impressive. 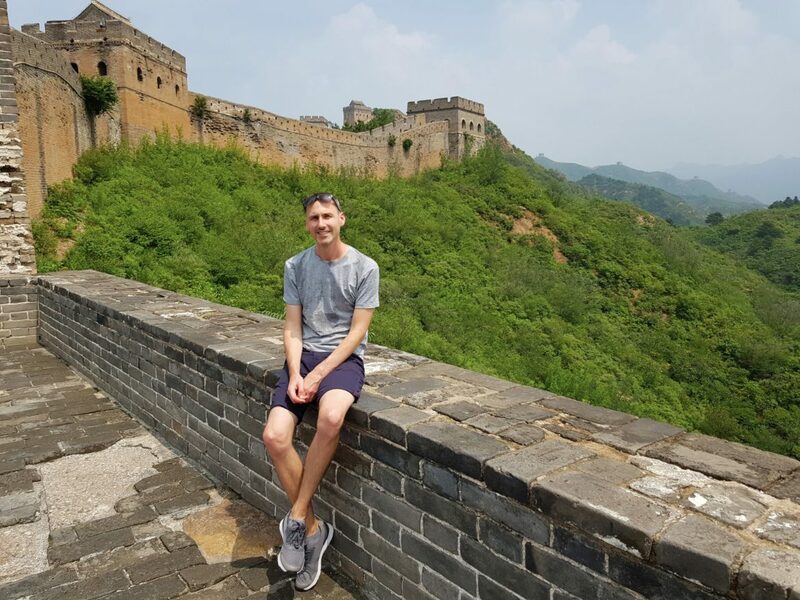 Definitely China’s highlight. The best on it was that there was literally no one. We guess we met just ten people in total. It is clear from the pictures. We continued on the Wall to the East gate. Then we walked down from the East gate to the parking lot where we took a short part of the same way we did in the morning back to the rest station. Buses were supposed to go from the same spot. The last bus leaves the lot at 4 pm, and intervals are around 30 minutes. However, the way back was more fun than we expected. It was the weekend and all the buses going to Beijing were full. We tried any random buses that stop there, but nobody wanted to take us. It was almost 5 pm, and we were stuck 125 km away from Beijing totally unprepared and unable to catch a bus. There was a police station on the highway going to Beijing, opposite the rest stop. Police did not help us at all. However, they did not protest when we started hitchhiking. In 5 minutes we had a nice Buick offering us a ride. Or maybe not offering a ride, we don’t speak Chinese, but at least the guy did not kick us out of the car once we packed in. 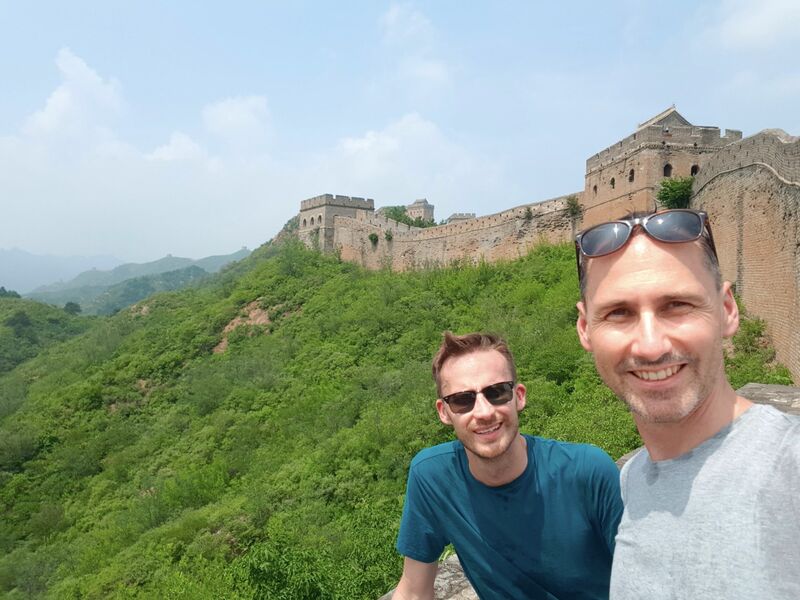 It took us 1 hour to get to Beijing, it was quicker than a bus, for free and comfortable. The mission of the day completed.